A Reminder Around The Holidays! Thanksgiving week has arrived, and more food-focused holidays are around the corner as we head into December! 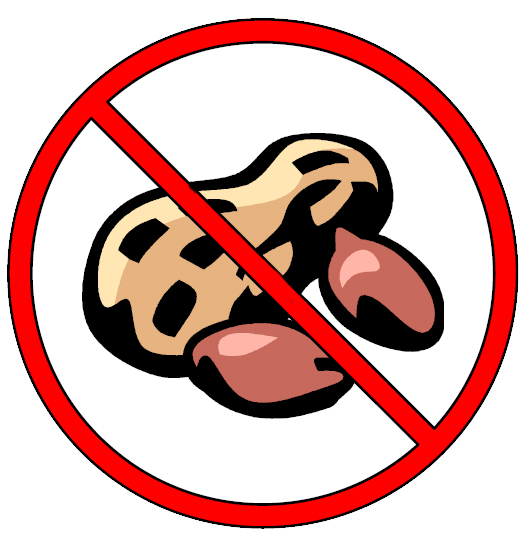 I wanted to briefly remind food allergic individuals, as well as friends & family of them, that if you are unsure if you should eat something pre-made or that someone prepared for a party or family event, please go with your gut feeling and don’t feel pressured to try something that makes you hesitant. ♦ Talk to your family members and friends about ingredients in the meal and give a safe list of brands they can use for their “menu” if you feel comfortable with it. Also, mention to wipe down surfaces and make sure the allergen isn’t around while the meal is being prepared. ***Otherwise, you can bring your own dishes if you’d rather! ♦ If you slightly offend someone who made a lovely dish that you don’t want to try, brush it off and remind yourself being safe is always the priority, you have to put yourself first. Remind them it isn’t worth the risk if you want to. I will end this by saying that I am anticipating going out to eat one or two times this Thanksgiving holiday while in Cleveland, Ohio! I will be gauging my trust with these few restaurants in a city I haven’t been to before, and these restaurants I have only communicated with so far via e-mail. Besides, Taco Bell, which I trust and is our go-to for road trips! I want to clarify that I am never 100% comfortable in a restaurant setting even after talking with them or reviewing their allergen statements or charts on their site, because you never know how serious they are going to take your allergy, or how well they know their ingredients that day. (a) The only time this doesn’t hold true is for specific allergy-friendly restaurants or bakeries. This week I am going to bring a backup snack with me in case I determine I am actually not comfortable at the restaurants once we arrive. In this scenario, I will get a soda or drink instead, and enjoy my night! We do try to book hotels with a kitchenette suite included if we are there for longer than a day, to be able to have kitchen access as well, and then we bring all our own safe cutlery, sauce pans, utensils, cutting boards, sponges, dish soap, etc! We will be making our own safe Thanksgiving day meals to bring to the Thanksgiving on my husband’s side, just to make it simpler for everyone. Even though food rules most holidays, events and parties, try to not let it get you down. You can have a great time with or without the abundance of food! Have a wonderful holiday- and more posts will becoming soon! Next What’s in my hair dye?